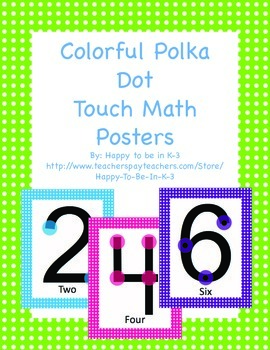 This product contains touch math posters for the numbers 0-9. Touch math is a simple way for students to learn to count and add. Students simply count the circles on the numbers. 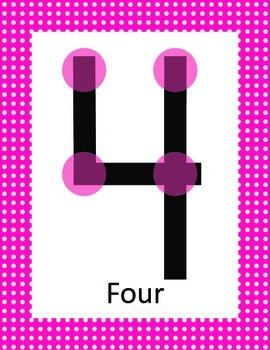 Single circles are counted once. Double circles are counted twice. For example, the number 2 has two single circles. Students count each circle once for a total of two. 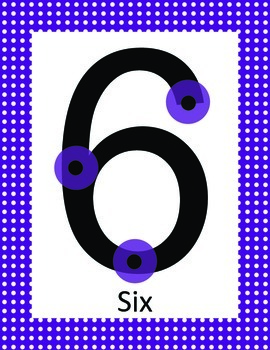 The number 7 has several double circles that must be counted twice. Download my product preview to view an example. Thank you for purchasing my product. Don't forget to leave feedback and visit me again!